To Australian hip-hop and dubstep heads, DJ Wasabi needs no introduction. An avid user of the V7, DJ Wasabi has gone beyond mere DJ to a performer people ask for by name and he thanks Numark for making his gear of choice. 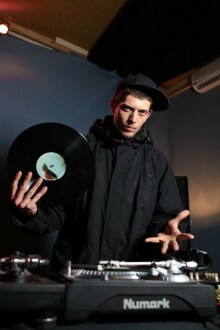 The 25-year old turntablist, DJ and producer has amassed quite a reputation and large following of fans throughout his 13 years behind the decks. Long considered one of the staples of the Melbourne scene, Wasabi holds down key weekly residencies around town at institutions such as The Espy in St. Kilda and First Floor in Fitzroy. Wasabi’s much sought after DJ skills have seen him support the likes of Redman & Method Man, DJ Craze, Mixmaster Mike, EPMD and Arrested Development and he’s the official tour DJ for major Australian hip-hop acts; Mantra (Obese Records), Combat Wombat (Elefant Traks), Bad Boys Batacuda and Jamima Jonez. 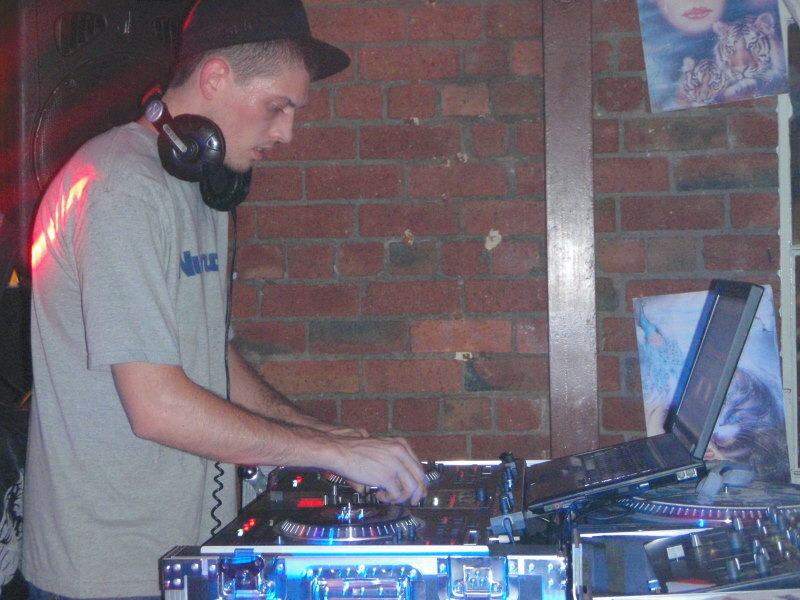 For 2010 Wasabi’s schedule saw him touring the country to support Mantra’s debut LP release on Obese Records (for which Wasabi contributed with engineering and production). He has also appeared at turntable workshops and key club dates throughout China at the end of the year. For 2011, between gigs Wasabi is focusing on the continued development of his newly established recording and rehearsal studio, ‘Tetris Studios’ as well as spearheading the newly formed Australian Scratch Academy. Wasabi has won an ARIA award (Australian Recording Industry Association), 2 x ABC awards (Australian Broadcasting Corporation), ‘Cheap Thrills’ DJ Of The Year and has featured on more than a dozen releases over the years. He has also ran and mentored in many community based workshops for the disadvantaged throughout Australia. Currently an endorsed artist for Numark, Wasabi is one DJ who’s star is still on the rise. Numark: What got you started DJing? Wasabi: I was getting over being in bands so I started playing with electronic music cause it gave me more freedom to produce exactly what I wanted. Numark: Who were you inspired by when you were learning to perform? Wasabi: Mark N and Resin Dogs were the people that got me into scratching but stage presence was kind of a natural progression watching performers like Prodigy, Dj Craze, Cut Chemist and other amazing performers. Numark: What was your first piece of Numark gear? Numark: Which is your favorite piece of Numark gear and why? Wasabi: Virtual Vinyl, I have used all the digital DJ interfaces from all the other companies and nothing compares to Numark VIRTUAL VINYL. From its stability to its ability to edit the parameters of the program the features it has make it the most adaptable and customizable program on the market. Numark: Why do you think you've become so popular? Wasabi: I think its because i haven't tied myself to any genres or scenes so my fan base is a lot wider than one genre DJs. Numark: Are there any performers you'd like to perform with whom you would like to perform but haven't had the chance? Wasabi: We’re very lucky in Melbourne to have such a vibrant music scene. So far I’ve performed, written with and supported most of my idols and favorite performers but there is still one I’d love to meet and that I have really been enjoying and that’s Trentmoller. Numark: What's the largest crowd you've performed in front of, where was it and how did it feel? Wasabi: I performed for the opening ceremony of the 2000 Sydney Olympics in front of 110,000 people and have been on a quest to play a bigger crowd than that ever since so far the biggest has been 25,000 in Singapore at the Enroute music festival. Numark: What's on tap for you in 2011? Wasabi: The release of my debut solo album, tour to Japan in April, Australian tour in May and EU tour in August, that’s it so far. Numark: What would you recommend up and coming DJs do to be successful? Wasabi: Talk to, watch, and support other DJ's from all genres you can learn tricks from of all of them and apply it to your style. Make friends in the industry, never enemies. It's all about who you know! Even the best DJ will never get gigs unless they get out of the bedroom. Oh, one more thing...lose the ego. "“I love the feel, the look, the response when I put my fingers on the platter...there's nothing else like the V7.”"